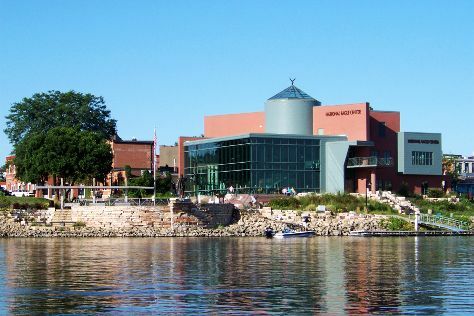 La Crosse is a city in the U.S. Get out of town with these interesting La Crosse side-trips: ELMARO Vineyard (in Trempealeau), Winona (Garvin Heights, Minnesota Marine Art Museum, & more) and Soldiers Walk Memorial Park (in Arcadia). There's much more to do: look for all kinds of wild species at National Eagle Center, sample the tasty concoctions at Jacob Leinenkugel Brewing Company, pause for some photo ops at Soldiers Field Veterans Memorial, and explore the fascinating underground world of Niagara Cave. To see other places to visit, maps, reviews, and other tourist information, go to the La Crosse road trip website . In July, daily temperatures in La Crosse can reach 84°F, while at night they dip to 64°F. Finish your sightseeing early on the 22nd (Wed) so you can travel back home.